Intel has agreed to purchase roughly 190 patents, 170 patent applications and next generation video codec software from RealNetworks for $120 million. The buy isn’t expected to have any material impact on RealNetworks’ business as they will still retain certain rights to continue to use the patents in current and future products. Renee James, Intel senior vice president and general manager of Software and Services Group, describes the patents as “foundational media patents” used to expand Intel’s extensive portfolio of intellectual property. "As the technology industry evolves towards an experience-centric model, users are demanding more media and graphics capabilities in their computing devices," said James. "We believe this agreement enhances our ability to continue to offer richer experiences and innovative solutions to end users across a wide spectrum of devices, including through Ultrabook devices, smartphones and digital media." In addition to the patent and next generation codec deal, the two companies have also signed a memorandum of understanding to collaborate on future support and development of the next generation video codec software and related products. Specific details on the patents weren’t given and aside from the general statement of Ultrabooks, smartphones and digital media implementation, it’s unclear how Intel plans to use the newly acquired intellectual property. Founded as Progressive Network in 1995 by former Microsoft executive Rob Glaser, the original goal of the company was to distribute politically progressive content. 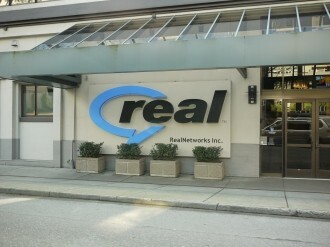 The company changed its name to RealNetworks in 1997 and became one of the pioneers of streaming media online. They were one of the first to stream an audio event over the net, a baseball game between the Yankees and the Mariners, and were the first to launch a streaming video technology in 1997. By 2000, it is believed that more than 85 percent of streaming content online was in the Real format.